It was a pleasure to have Bob and Mark create our dream backyard. The end result was beyond any of our expectations. They are both creative and talented craftsmen. 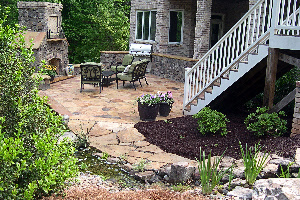 We highly recommend Stones and Streams. Bob was very attentive to our vision of the project. 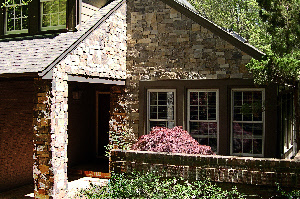 He made great suggestions for colors of stone and especially for trim and siding paint. We are extremely pleased and hope to work on other projects with Bob and his Company . Once the project started work seemed to move quickly. You were here working hard everyday regardless of heat/weather.! (Appreciated). 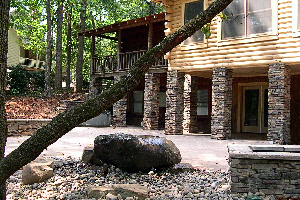 You have a great 'eye' for design, for the right stone, for incorporating project into the natural setting. Greatly appreciate your expertise, ideas & guidance. The project turned out beautifully. 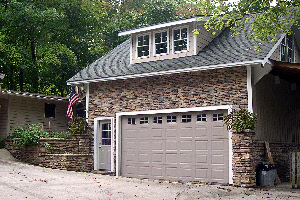 This project along with your ideas has added far more value to this house than the total dollar costs. We have been very pleased and we will continue to recommend your company to all of our neighbors.